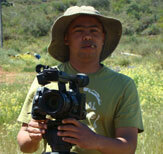 INSYNC Productions is the brainchild of Younus Salie. Younus started in the industry as a news video editor for E-TV. It was here that he wet his feet in producing and discovered his passion. From there he worked for a small local production company before going independent which in essence gave birth to INSYNC Productions in 2004. Although an experienced video editor, cameraman, director, and having worked in several genres, Natural History is what he is most passionate about. He strongly believes that it is only through education, that humans will see the importance of environmental conservation and our role therein. 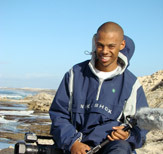 With a background in media studies and upon completion of his degree, Faghrie trained as a video editor. The ability to bring visual stories to life is what excites him. 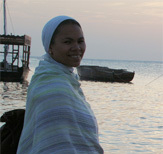 He has worked on various projects including a broad spectrum of genres from religion and education to wildlife. He has shown great passion for this industry and feels that what he brings is a fresh and innovative approach to any and all productions he is involved in. Nazrene obtained her Bachelors degree at UCT, majoring in English & Psychology, but her keen interest in people led her to follow a different path. Having always shown an aptitude for writing she fused this skill with the visual medium and started out as researcher and assistant producer for Insync Productions. Her determination and desire to take on new and more demanding roles has seen her grow from humble beginnings to our current in -house Producer at Insync Productions. Here repertoire includes several inserts, documentaries and series- with many more on the horizon. 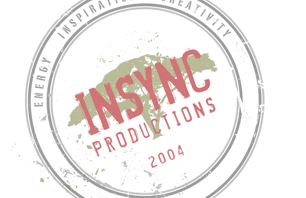 Quote: "do what you love and you'll always love what you do"
Insync Productions is constantly involved in industry development through our exciting intern programme, whereby we offer keen, focused and promising newcomers the chance to explore and gain experience within the industry.